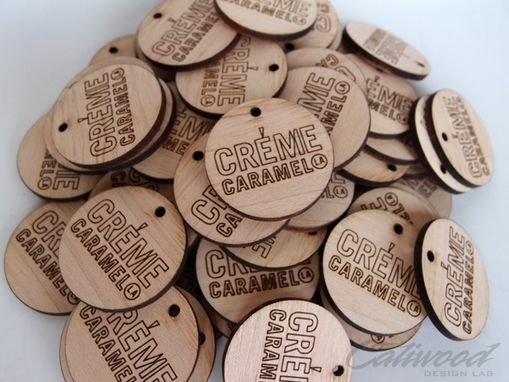 Creme Caramel LA wanted to give away reusable wooden coins for their grand opening that could be redeemed for a free drink. 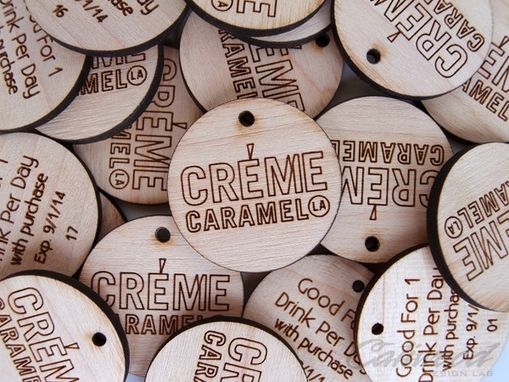 Features their logo laser etched on front and redemption information on back. 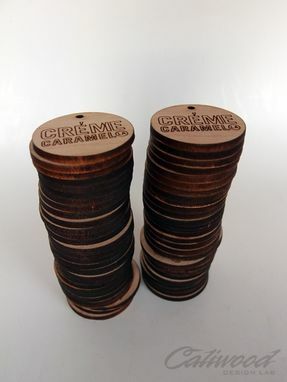 Each measures about 1.5" round.